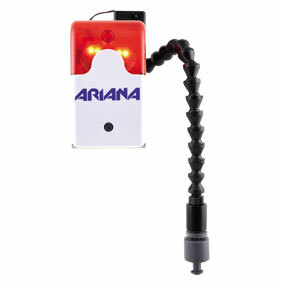 ARIANA-overflow protection Siren is an important tool for each processing machine, which is filled with emulsion or oil. 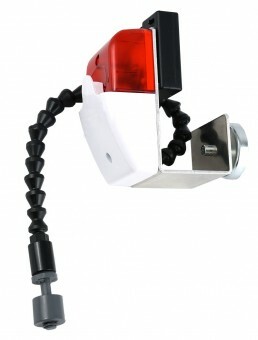 The overflow protection siren announces an upcoming overflow via acoustic and light signal. By adjusting the movable joint hose, one can determine the level in the tank. An overflowing is signaled by the audible warning siren. By turning the float switch can use the dual function. The instrument logs, if not enough filling volume is present in the machine pool. Before the pump runs dry, a signal sounds to indicate the minimum level.